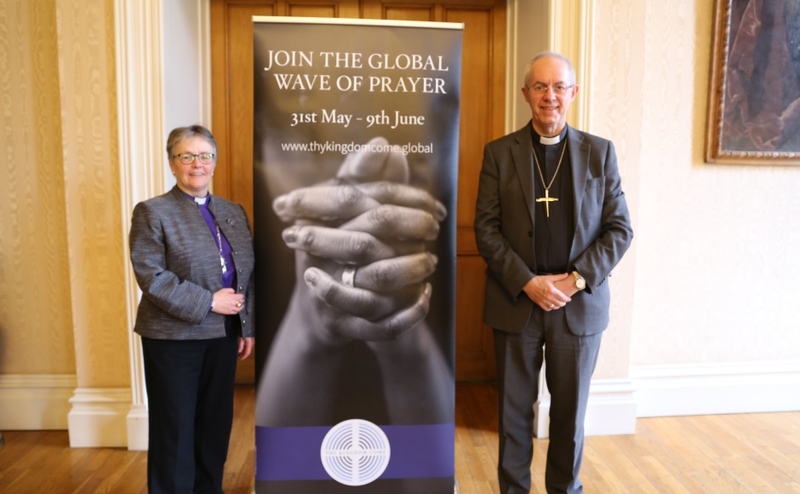 Congregations, church members, and families across the country are being invited by the Moderator of the General Assembly of the Church of Scotland to take part in Thy Kingdom Come, a global prayer movement in 114 countries. During the period from Ascension to Pentecost (30 May - 9 June) Christians around the world from South Sudan to South Korea will be encouraged to come together in prayer. Events will take place worldwide during this time such as round-the-clock-prayers, special walks, prayer stations and family activities. In a letter sent to ministers this week, Rt Rev Susan Brown said it would help church members to "be effective in our witness" and "for the spread of the Gospel in Scotland". "In my own ministry at Dornoch Cathedral we have actively participated in Thy Kingdom Come in previous years," she wrote. "So, when I signed the joint statement to state that: 'The Church of Scotland now commits to encouraging all its parishes and people to join in Thy Kingdom Come in 2019 and beyond', I found myself affirming what I had previously sensed God calling us to do in the place of my own ministry. "Equally, in seeking to encourage every parish in the Church of Scotland to consider participating in Thy Kingdom Come in 2019, I am commending a Global Prayer Initiative that I know has touched the lives of many." The Archbishop of Canterbury, the Most Rev Justin Welby, said: "I am thrilled and delighted that the Church of Scotland is encouraging every lay and ordained member to join in Thy Kingdom Come. "Over the past three years more and more worshipping communities around the world, of every denomination and tradition, have rediscovered the riches of the tradition of praying ‘Come Holy Spirit’ between Ascension Day and Pentecost. "I hope that this is a great blessing to the Church and bears fruit throughout the years to come in our effective witness to Jesus Christ." Those who wish to join Thy Kingdom Come can 'Pledge2Pray' via the Thy Kingdom Come website. In addition to an award winning app, resources such as videos and prayers are also available online. In November, Mrs Brown signed a joint statement with the Archbishop of Canterbury affirming that 'the Church of Scotland now commits to encouraging all its parishes and people to join in Thy Kingdom Come in 2019 and beyond'. Begun in 2016 by the Church of England and now involving 65 different denominations, Thy Kingdom Come hopes that "people will be empowered through prayer by the Holy Spirit, finding new confidence to be witnesses for Jesus Christ." The Primus of the Scottish Episcopal Church, Most Rev Mark Strange, has also joined with the Church of Scotland to commend Thy Kingdom Come. "One of my abiding memories of childhood was every evening - in a not particularly Christian household - sitting down with my father and saying the Lord's Prayer together and that sense of calling for 'Thy Kingdom to Come'. "So it's with great delight that we as a denomination, the Scottish Episcopal Church, have been involved in Thy Kingdom Come, primarily at a provincial level, but we're now working that down towards charge level. "It's also with great delight that we share that experience with the Church of Scotland, our partners in mission. "I ask them, as I know we will do for the Church of Scotland, to pray for each other, as we work through the importance of being able to pray to God and say 'may thy kingdom come'." "Having decided at our recent Kirk Session meeting to be involved with the Thy Kingdom Come prayer initiative, we in Glenrothes: St Margaret's are excited to be part of a world wide prayer movement. 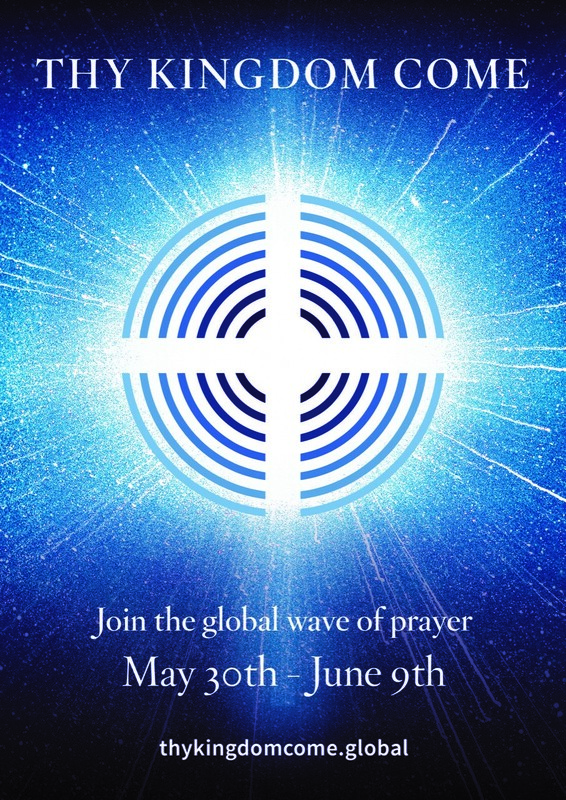 "We are exploring a number of different ideas to bring people together to pray between 30 May and 9 June. When God's people pray, we can expect things to happen!" "I have pledged to pray as part of Thy Kingdom Come, and will encourage others in the congregation to join in, because in prayer I am encouraged by the fellowship of others. Thy Kingdom Come has grown into a global movement of prayer which I can be part of in Edinburgh. "The 11 day focus for prayer between Ascension Day and Pentecost (in 2019, 30 May to 9 June) is helpful in concentrating prayer. Marking the period between the celebrations of the Ascension of the Lord Jesus and the gift of the Holy Spirit with prayer is very appropriate and enables me to recognise these two significant dates in our Christian year." Find out more about Thy Kingdom Come.